What do you do when life gives you lemons? You make lemonade of course! On Saturday, September 30, 2017 under the bright lights of Jones AT&T Stadium, a new champion emerged. 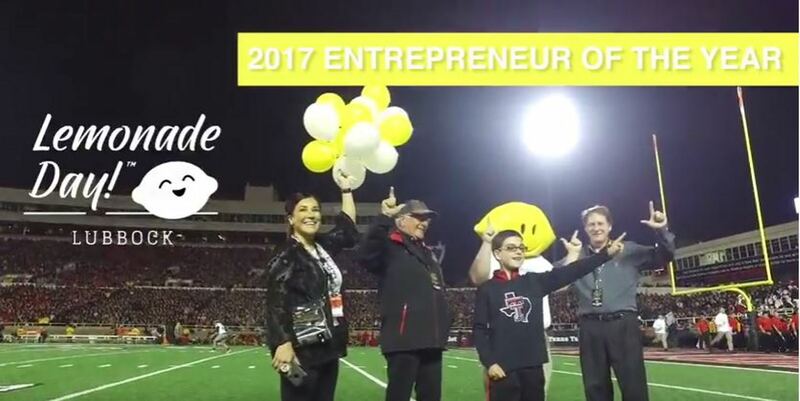 Matthew Noel, a 5th grader, was named the Lubbock Lemonade Day Entrepreneur of the Year! Lemonade Day is a national movement that has had big support from United since its start in Lubbock. United hosted the first ribbon cutting kickoff event in 2012 and has offered locations for countless young entrepreneurs at our stores ever since. 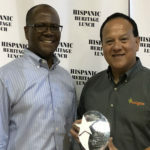 Company president Robert Taylor currently serves as the Lubbock City Champion for Lemonade Day. All across the Lubbock area, students spent the spring learning how to create a business plan, procure product, attract customers and GROW SALES (sound familiar anyone?)! In addition to teaching financial literacy and the value of hard work, the program teaches kids the benefits of using their profits to spend some, save some and donate some to a charity. Our 2017 winner showed innovative moxie and entrepreneurial spirit when he approached area businesses with the idea of matching his profits. Matthew’s goal was to make as big a donation as possible to the Burkhart Center for Autism and Research. Area businesses jumped at the chance to support this enthusiastic young man. We are proud to report that his corporate partners and his business profits made possible a donation of more than $4,600 to the Center. We say it all the time, but United is a special place to work. It’s a very special company indeed that makes moments like this possible for children in the communities we serve. Big thanks to all the store and support team members who help United play a big part in Lemonade Day! For more behind the scenes, check out Robert surprising Matthew at school with the news. This is how he found out he was the winner.